When the Legend of Zelda: Spirit Tracks hit stores in late 2009, Nintendo sent out a mass amount of games all across the various territories. However, shortly after its release it became apparent that the game was not selling nearly as well as its predecessor, Phantom Hourglass. Therefore many retailers were left with dozens of unsold copies in there warehouse. The end result was that just a few months after the game released, it popped up in discount bins for nearly half of its original price. Nintendo learned its lesson with Spirit Tracks and deliberately under produced copies of Ocarina of Time 3D. The end result is that many retailers in Japan are reporting that Ocarina of Time 3D is out of stock. Furthermore, many of our site fans who did not pre-order a copy of the game are reporting that their local GameStop’s are out of stock. Come inside for full analysis as to why this makes sense for Nintendo. 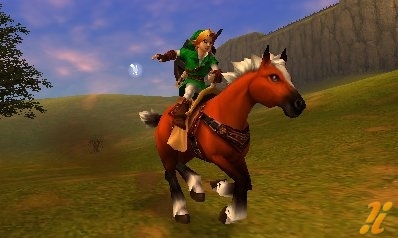 Ocarina of Time 3D is the first must-buy title for the Nintendo 3DS. Much like Twilight Princess for the Nintendo Wii, many gamers who pick up a Nintendo 3DS console 2-3 years down the road are still going to be purchasing Ocarina of Time 3D. Nintendo wanted to be careful with their distribution amount, since they did not want to overproduce the title, causing it to fall into the discount bin. Had they done this, the games price would be reduced significantly early on in the consoles life cycle. Thus, years down the road when gamers are picking up a console, they’ll be paying for Ocarina of Time 3D at a discount. Furthermore, if the game were to see a price cut this early on in the systems life cycle, then this would set a precedent for what a 3DS game should cost. Thus whenever a quality new game releases for $34.99 or $39.99, the idea will pop up… but wait, Ocarina of Time 3D is almost half the price, so why am I paying extra? Nintendo was very careful when they distributed their games for the Nintendo Wii, never over producing titles. This is why games such as Super Mario Galaxy, New Super Mario Bros, Super Smash Bros, Donkey Kong Country Returns, and Mario Kart are all still retailing for the full $49.99. Additionally, Twilight Princess which was a launch title for the system, was selling for the full $49.99 up until just two months ago when the Nintendo Wii Select titles were announced, dropping the price to $19.99. It’s strange how Nintendo has been able to get away with this. Just a quick look at some exclusive Sony PlayStation 3 titles and you see almost NONE of their premier games selling for full price. God of War 3: $29.99, Metal Gear Solid 4: $19.99, Uncharted 2: $29.99, and Heavy Rain: $29.99. It’s even stranger when you think that PS3 titles start out at $59.99 while Wii games start out at $49.99. I think this is going to be Nintendo’s strategy throughout the life cycle of the Nintendo 3DS. Ocarina of Time 3D is selling for $39.99 now here in the United States and it will be selling for $39.99 two years from now. Nintendo is taking precaution to ensure they can keep their games at the premier price value. In general… I’m not complaining since as long as the titles are worth the value, I’m perfectly fine paying full price for them. Now if Nintendo was charging $49.99 TODAY for Wii Music, I’d have an issue, but that doesn’t seem to be the case.